This graphic novel is just cool. It's the story of Katie, a chef who wants to open her own restaurant, and she also wishes she could get back with her ex-boyfriend, Max. Katie lives in an apartment above a restaurant named Seconds, and one night she meets Lis, the spirit of the house. Katie finds some mushrooms and a notebook in an old dresser, and by writing down a mistake and eating the mushroom, the past will be changed. Katie quickly gets addicted trying to fix all of her mistakes, and each revision changes the universe. First she tries to prevent an accident in the kitchen that injured her friend, Hazel. Then she goes farther back in time and totally changes her relationship with Max, a decision that has serious consequences. But Katie can't stop trying to change things and make her life "perfect." Each morning she wakes up, she isn't sure exactly how the world will be different, and her life has changed so dramatically that she doesn't remember whole parts of it anymore, because they never really happened. And by constantly changing the universe, Katie has angered the house spirit, and she accidentally created a monster. In the end, after multiple lives and some scary situations, Katie finally stops fighting herself and accepts things as they are. "Listen: This is what I've learned. There are things we can't change, and we just have to accept that. And maybe that's some kind of grace." 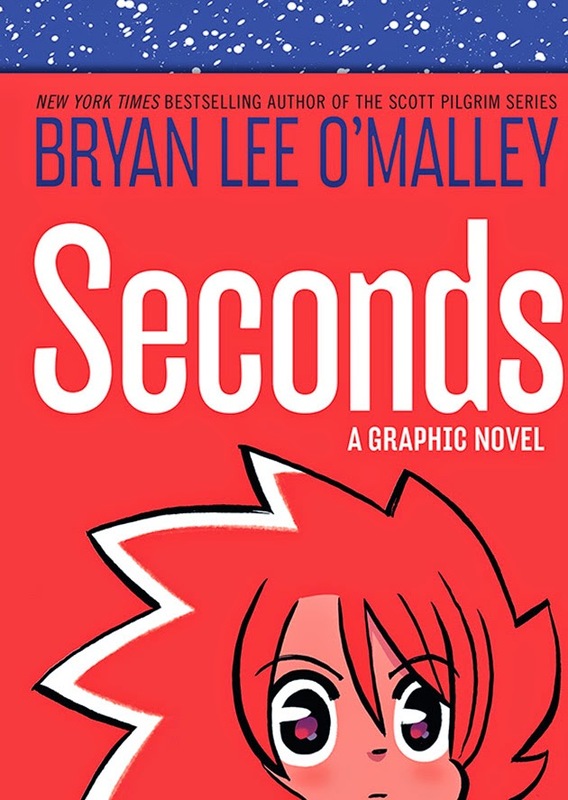 The book was written by Bryan Lee O'Malley, author of the popular Scott Pilgrim series, and I picked it up because I had also enjoyed that graphic novel. The artwork is beautiful and I really liked the story. It's a good reminder that even though we wish we could change our past, actually doing so would have unintended consequences. Maybe we should just accept our mistakes as part of life, and move on.